One of the biggest challenges brands face when working with influencers is getting their attention and engaging them. In fact, according to eConsultancy, 54% of marketers still search for influencers manually and say that “identifying talent” is their biggest influencer marketing challenge. It can be quite a task for brands to build their relationships with influencers. And this hurts your campaign because weak influencer relationships automatically translate into inauthentic, half-hearted promotions. You need to build a stronger relationship with the influencers you work with to improve the success and ROI of your campaigns. The goal is to make sure that the influencers actually like your brand and maintain a relationship even after the paid partnership has ended. For this, you need to work on how you approach influencers and interact with them. This post is going to help you with that. When you’re trying to attract and engage influencers, it’s best to test the waters first. Maybe you just want to send out a generic cold outreach email for a one-off partnership. But if you’re planning to build a long-term partnership with them, you need to do more than just send an email. First of all, follow them and their posts on social media and their blogs. Try to like, share, or comment on their posts whenever applicable. But make sure your comments are insightful and add value to the influencers’ posts, so that they notice you. This is to ensure that when you do decide to approach the influencer for a partnership, they will recognize you. Secondly, try to begin your initial interactions with them as a person and not as a brand. It may be difficult for influencers to feel a connection with a brand. But with a person, it could be much easier. The goal is to make sure that the influencer grows fond of the face behind the brand first and then interacts with the brand. According to an ACTIVATE report, the number one reason why influencers work with a brand is that they already like the brand. So, try to build influencer relationships before approaching them for collaborations. 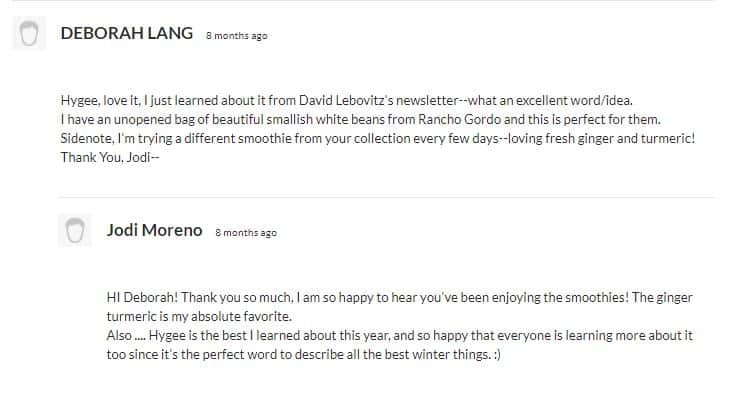 The screenshot below shows an interaction between Jodi Moreno of What’s Cooking Good Looking and a reader of her blog. This is a great example of how you should approach influencers. The conversation starts on an informal note, with a genuine appreciation, instead of getting right to business. The conversation is relevant to the topic and the influencer’s post and builds up naturally. This is a good way of building relationships with influencers, even before you ask them for a paid collaboration. To avoid wasting your efforts on commenting, make sure to look through the influencer’s past posts. Check out the comment sections and see if the influencer normally responds to comments from their readers. If they do, there’s a good chance they will also respond to yours. If not and if you still want to include them in the campaign, it might be better to do a cold outreach for that particular influencer. You can also keep a lookout for when relevant influencers ask open-ended questions. Some influencers tend to engage with their followers by asking them questions. So if you see such an opportunity and it’s relevant to you, try to participate. Relevance is a crucial factor that can determine the strength of your influencer relationships. It’s beneficial for your brand because you need to reach a relevant and receptive audience. It’s beneficial for influencers because they get to provide relevant content to their audience consistently. Most influencers have an engaged audience who follow them because they post about a specific niche. Influencers want to stay true to their audience and stay relevant and authentic. So if you plan on building strong relationships with influencers, you need to do so with influencers who are relevant to your brand. That’s exactly why top clothing brands would partner with fashion and style influencers. And beauty and makeup brands would partner with beauty influencers. Similarly, consumer food brands would build relationships with relevant food influencers. There’s also the case of Special K, which launched their #StrongFeedStrong campaign to promote women’s strength. Their campaign did not involve any product placement but rather utilized storytelling to promote their brand’s message. If it were the former, it would be better to work with food influencers and health enthusiasts. Instead, they worked with influential and accomplished women such as athletes, homemakers, and entrepreneurs. This was appropriate since the whole campaign was aimed at encouraging women to reach their full potential. 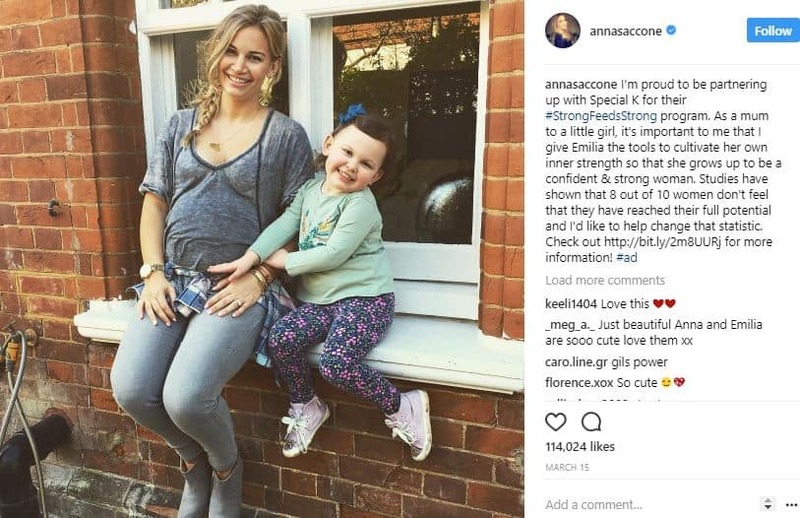 One of the influencers they worked with was Anna Saccone, a parenting influencer with 1.5 million Instagram followers. She posted an Instagram photo with a caption about raising her daughter to be strong. You can’t just ask influencers to “do whatever they want” with the promotional posts for your brand if you’re going to be picky about the end results. This could seriously damage the influencer’s opinion about your brand and they may feel less inclined to work with you. Being too vague about your expectations could result in content that doesn’t really meet your expectations. In short, it can be a waste of time for both you and your influencers. To avoid such issues, you should have a clear idea about what you expect out of the campaign. What kind of content do you want influencers to create? Do you expect them to frame the message in a certain way? Or maybe you want them to tell a certain story instead of simply positioning the product in their photos. The key message that you want to communicate to your influencer’s followers. Types and number of pieces of content. Whether you want the content to be completely authentic or a little bit promotional. Your assertiveness and transparency can improve your influencer relationships. An honest conversation between the two of you could pave the way for a strong relationship. It can also make the process of working together easier and more efficient. As mentioned earlier, creative freedom is important. It’s one of the biggest necessities for building strong influencer relationships. In fact, TapInfluence study found that the most important thing for influencers is to maintain their authenticity. 71.2% of influencers in the study felt that they remain their honesty, openness, and sense of humor are all necessary to keep their audience engaged. The study also found that according to influencers, an overly restrictive content guideline is the second biggest influencer marketing mistake. Additionally, 77% of influencers in the Crowdtap survey would work with a brand more than once if the brand gives them creative freedom. 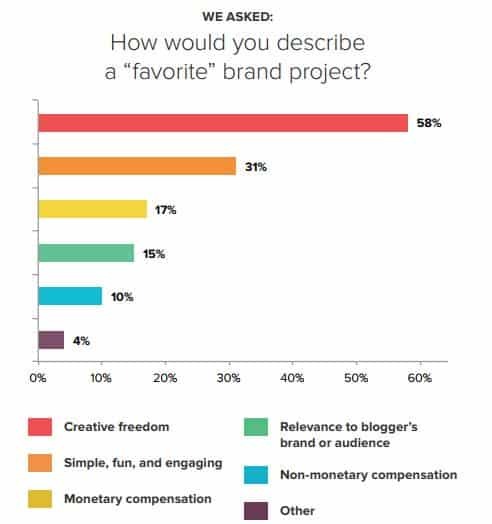 Brand projects in which they get creative freedom tend to be a favorite for 58% of influencers. All of this suggests that it’s crucial for brands to let influencers be their creative and honest selves. Restricting an influencer’s creativity could significantly ruin your influencer relationships. It will also take away the authenticity of your campaign. And as audiences identify this lack of authenticity, they could lose trust in both your brand and the influencer. A good example of creative freedom is in the sponsored video created by YouTube vlogger family who runs the channel Tic Tac Toy. The video was created to promote a new toy robot “Cozmo” by the brand Anki. The brand provided these influencers with the creative freedom to use their style to promote the product. 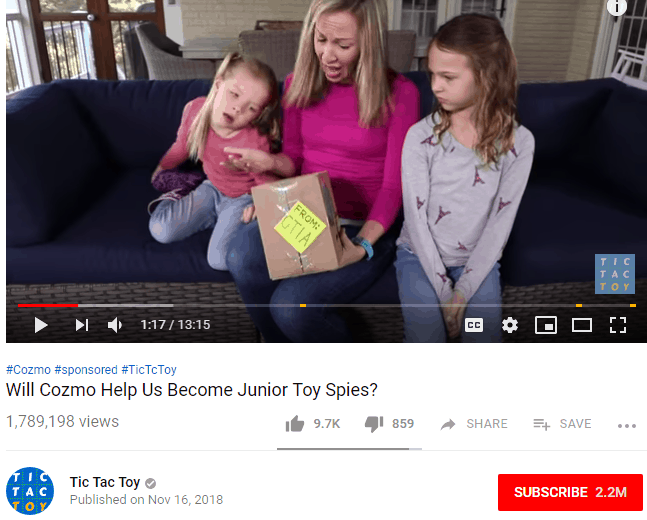 The result was an incredibly creative and engaging role play video where they created a whole spy movie scene featuring the product to be promoted. Even though the product features were explained in detail, that fit well within the whole script. So, if you give creative freedom to the influencers, you never know what innovative and creative content ideas they might come up with. Isn’t that the point of using influencers, instead of creating branded content? Another critical element that strengthens influencer relationships is fair compensation. Sadly, many brands fail to realize this and approach influencers with the offer of free products alone. 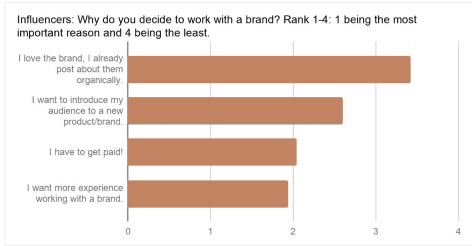 This is one of the biggest mistakes that brands make, as compensation is the third-most important reason why influencers work with brands. Free products only work if the influencer truly loves your brand or if the product is highly valuable. So, compensating them fairly for their work could motivate influencers to work with your brand. But that’s not the only benefit. When you provide influencers with fair compensation you are showing them that you value their time and effort. You’re showing influencers that your brand respects their right to get adequate compensation. You’re showing them that you don’t just expect them to promote your brand for free. So as much as you want to save money, you might need to make some investment if you plan on building strong influencer relationships. The hard part is deciding how much is adequate. The cost of hiring influencers may depend on a number of factors, mainly their following size, and their industry. How Much Should You Pay Influencers? According to Influence.co, modeling influencers tend to earn the highest with an average of $434 per post. 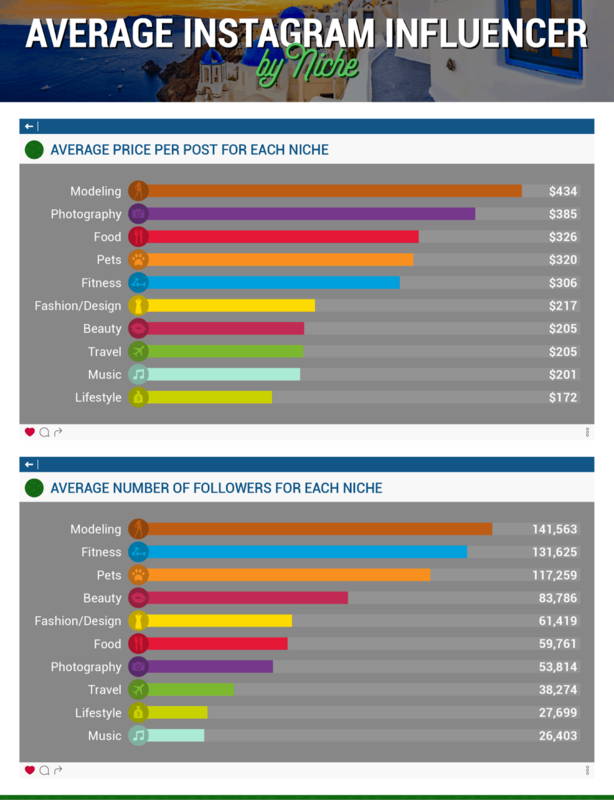 Next, come photography influencers earning an average of $385 per post. Food influencers are the third highest-paid, earning $326 per post on average. Influence.co also reports that the cost of working with influencers increases as the following size increases. For those with fewer than 1,000 followers, you can expect to spend an average of $82.60 per post. 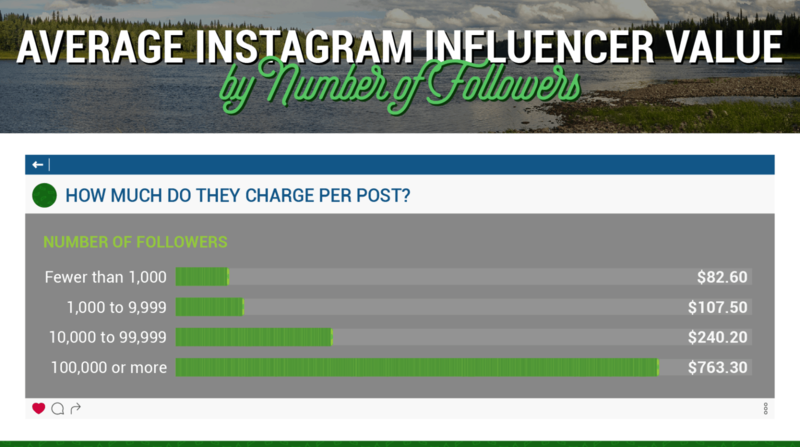 The rate continues to increase and finally, you see influencers with 100,000+ followers charging an average of $763.30 per post. Finally, brands who wish to build a strong relationship with influencers should respect the influencers’ time. They should have a clear understanding that influencers need sufficient time to create original and engaging content for brands. This is especially important since most influencers have either a full-time or part-time job in addition to being influencers. The previously-cited TapInfluence survey found that the third biggest mistake brands make is failing to provide adequate time for influencers. Many brands have the misconception that successful content doesn’t take much time and effort. But that’s not true. This makes it vital for brands to understand the capabilities and limitations of influencers if they wish to build a strong influencer relationships. At the same time, you may need to meet certain deadlines for your campaign. This makes it crucial that both parties agree on a fixed timeline for content delivery. This is another reason why transparency and assertiveness with influencers are important. Communicate your needs and expectations with the influencers. And let them know about the approximate timeline of your campaign. The influencer can then give you an approximate estimate of how much time they need to create the kind of content you need. If it’s going to be too late for you, make sure you express your needs clearly and respectfully. These are some of the essentials to follow if you wish to build strong influencer relationships. Too many times brands mistake influencers to be just another advertising medium. They try to give out commands and expect the influencers to follow their orders without question. Instead, you need to respect their needs, desires, and limitations as another individual. That’s the surest way to earn their respect. Have any more ideas to build and maintain strong influencer relationships? Let us know in the comments below.